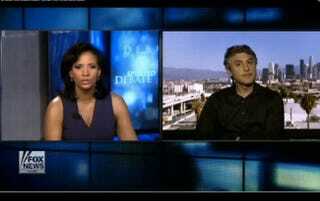 Fox News anchor, Lauren Green, grills the noted author Reza Aslan for his new book, Zealot: The Life and Times of Jesus of Nazareth. Despite Aslan's multiple degrees in religious studies including a doctorate in the sociology of religions and his lengthy career as a writer and scholar of religions, he is being accused of a bias in his book due to him being a practicing Muslim. The frustrated author has to continuously remind Green of his credentials, points out that most of his family including his wife are Christian, and at one point just suggests that Green hadn't bothered to read the book or look up information on him which she never confirmed nor denied. Zealot debuted at #2 on the NYTimes bestseller list today.